If you have a personal connection in/of Taiwan, and would like to add your own photo (please include the photo attribution, a caption, location, and year), text, etc. 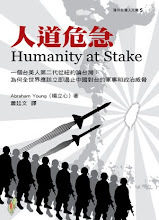 in this growing collection, please email HumanityAtStake@gmail.com with subject line “What’s At Stake”. Readers’ submissions will be added on each week at this web page.